LEICESTER, UK – 10ZiG Technology – a world leader in Thin and Zero Client endpoints for desktop virtualization, and ThinPrint, provider of the world\-\-s leading print management software of the same name, have entered into an OEM partnership. 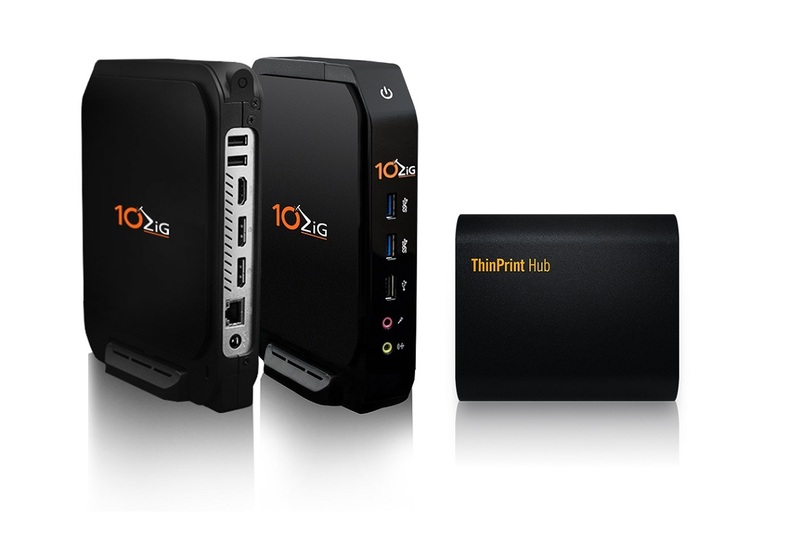 As part of the cooperation, the ThinPrint Client has been integrated into 10ZiG Thin Clients for fast, high-performance printing. 10ZiG Zero Clients can also print plug and play securely and quickly with the ThinPrint Hub, even when using a print server. The use of Thin Clients and Zero Clients has invaluable benefits for companies with Citrix, VMware, Parallels and Microsoft RDS environments. However, using print servers is difficult because they are often not able to send the data directly to the Thin and Zero Clients. Thanks to the integration of the ThinPrint Client, 10ZiG Thin Clients can now – even when using a print server – use ThinPrint functions for print data compression, tracking, and encryption. With the ThinPrint Hub\-\-s plug and play capability, fast and secure zero-client printing to network printers is guaranteed. Print data can be transmitted compressed to the printer via a separate, encrypted secure tunnel. The management of the print infrastructure takes place centrally in a console. \”Printing is still part of our customers\-\- daily work. This partnership with ThinPrint enables our customers to make both their network and their printing infrastructure efficient, high-performance, and cost-effective, leading to an even more complete end-to-end VDI solution\” said Kevin Greenway, CTO of 10ZiG Technology.